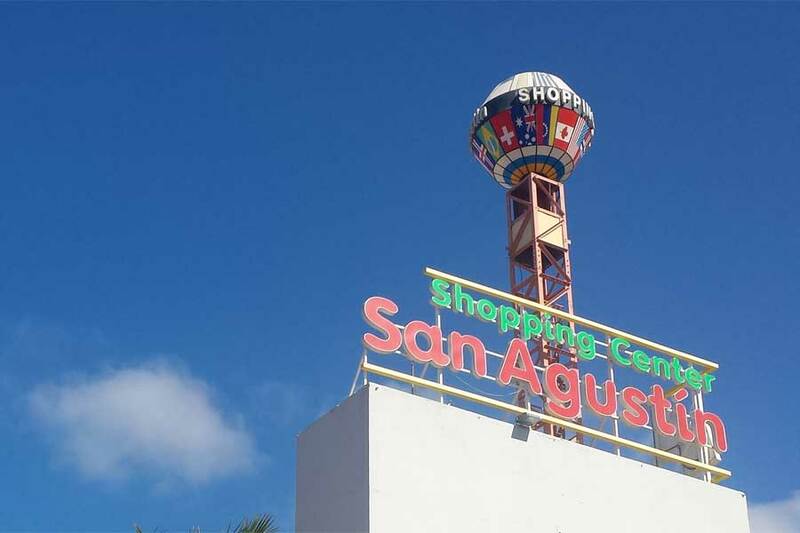 The San Agustin Shopping Centre (short SC) fits the description ‘Old but Good’ very well! The shopping centre’s somewhat aged condition contributes to its charm. But it has many, many shops and restaurants, which of some are filled to the rim with Scandinavian pensionists in the winter season. 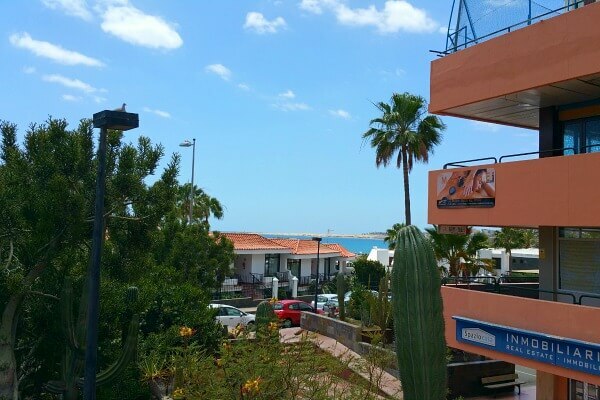 From some of the restaurants you can enjoy this absolutely stunning view over San Agustin and the Las Burras beach all the way over to Maspalomas. The SC San Agustin is both vibrant and varied with a large selection of goods and services. The selection of shops, restaurants and service providers have had plenty of time to steadily grow in variety over the years. Even specific, non-standard establishments usually searched for in vain in other centres can be found here, like a shop with precious stones, a candle shop, ice-cream store, just to name a few. 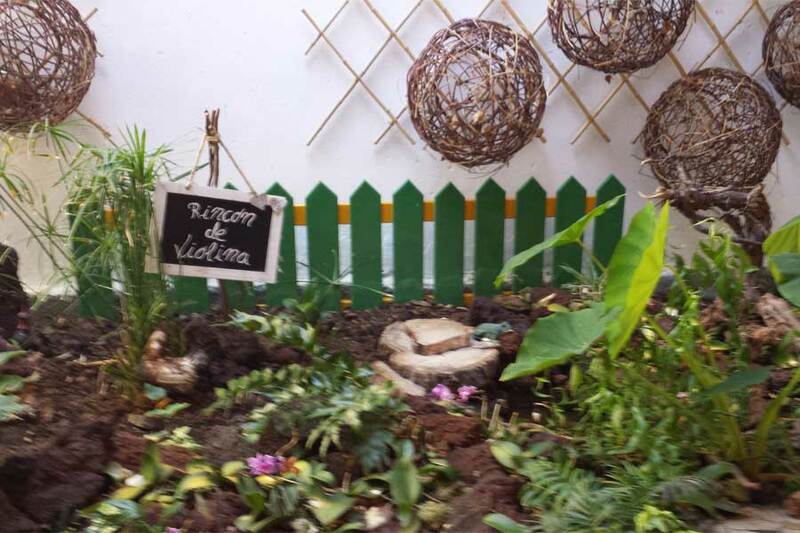 In addition to shops with beach items, jewelry, shoes and of course souvenirs, you can even buy seeds of various Canary plants to take home. 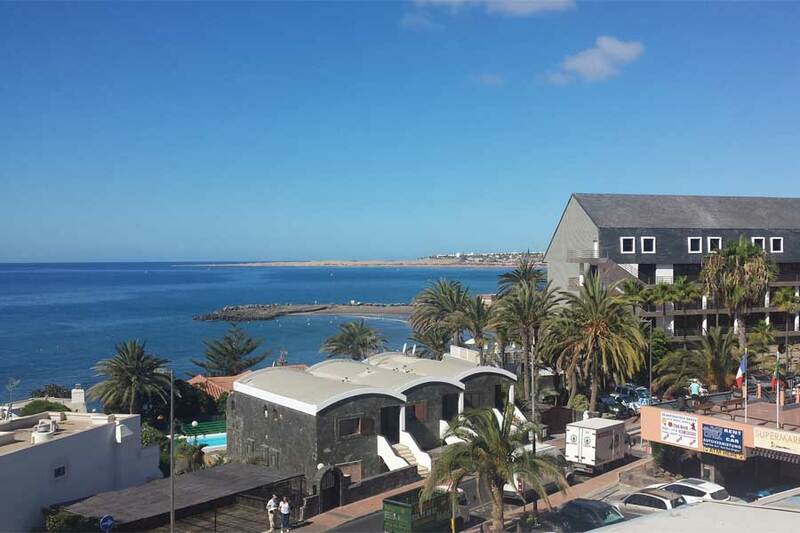 There are also a number of service providers such as hairdressers, car rental companies, a bank including ATMs and even a pharmacy and post office. 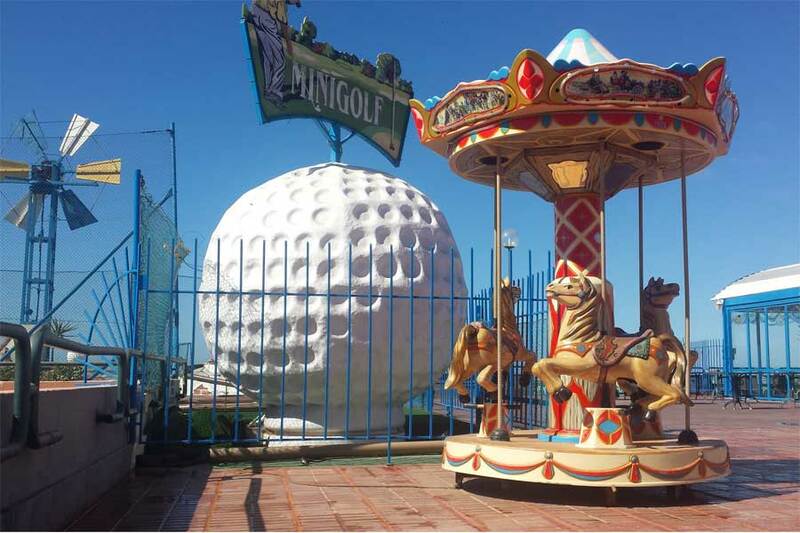 The Mini Golf course you will find at the top floor, just look for the giant golf ball. 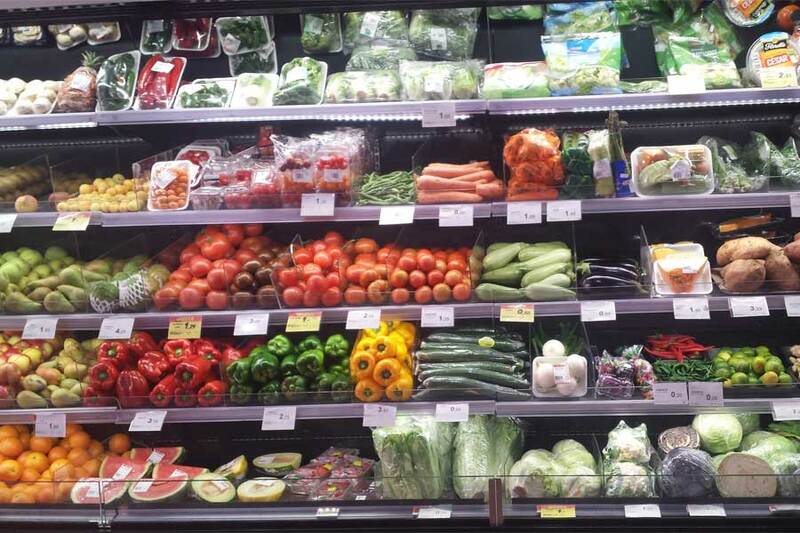 Supermarkets ranging from small to large can be found as well. In the heart of the shopping center, for example, is a medium-sized ‘Spar’, a supermarket franchise found throughout Europe that also sells international goods. Towards the back side is an even larger Supermarket with practically anything one could need. Every Thursday morning from September to May, the farmer’s market is held on the 4th floor, level with the top parking area. If you’re looking for some fun, CC also hosts a number of acts and shows. There are tribute shows, stand up comedians and even a hypnotist! 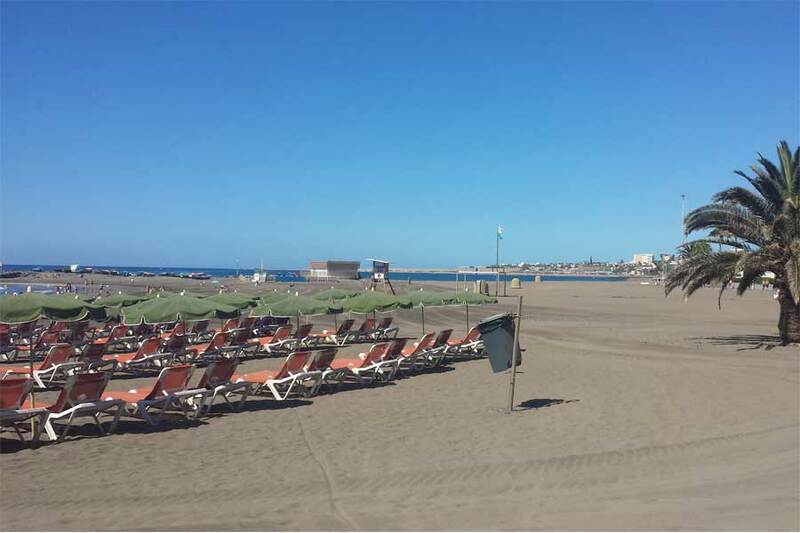 Drag shows also take place here, in fact, a Drag Queen show-bar called ‘The Rose Show Bar’ has recently opened right next to the Addio Mare on the 3rd floor. 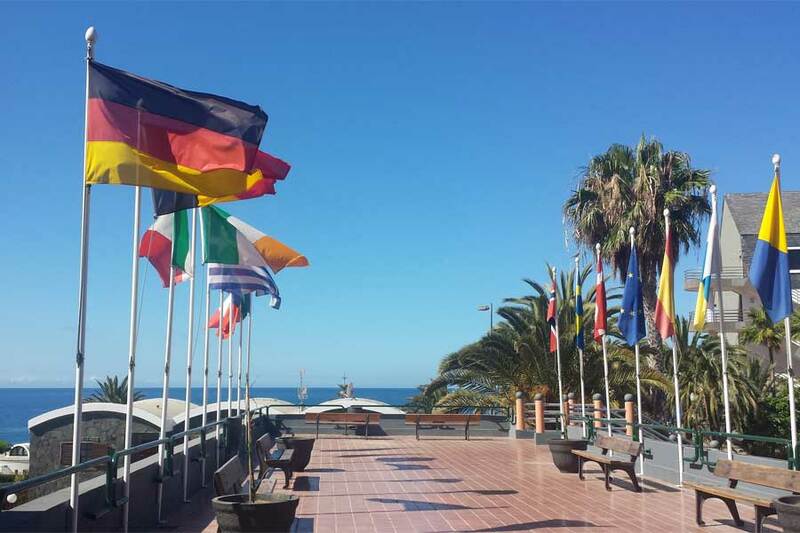 From the flags adorning the shopping centres towering logo to those partially decorating passageways, its clear one of SC’s biggest draws is its internationality. 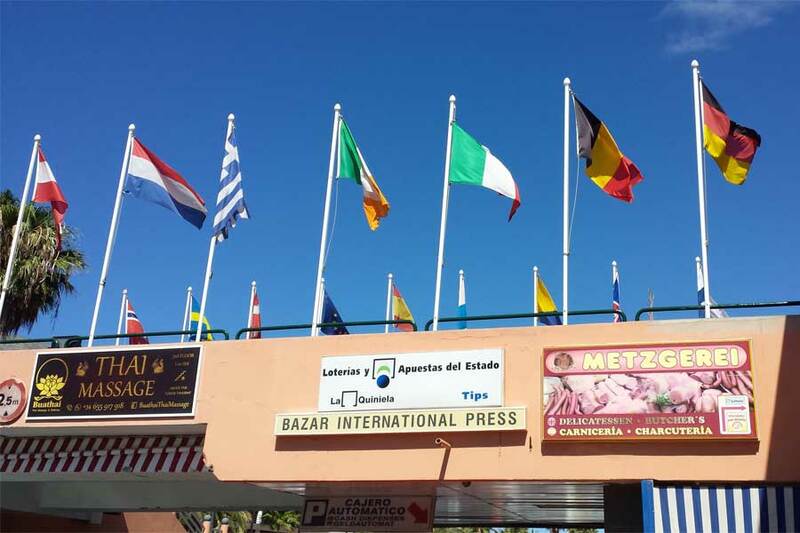 You can find a piece of every nation here, if only at the international newspaper shop. Here, German tourists and residents will feel at home with daily newspapers, illustrations, magazines as well as books and comics all written in German – there’s even the German Zipf bakery and cafe. 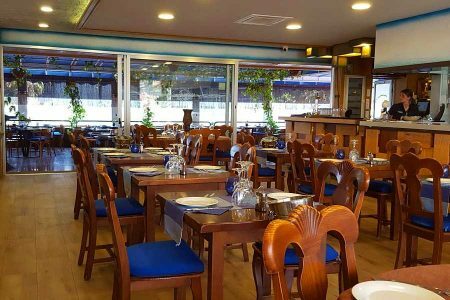 There are several Canarian, Italian, Dutch and Swedish restaurants, even a one with Greek and another with Polish specialties. Meandering and confusing or large and diverse? Upon one’s first visit, the shopping centre can be perceived as overwhelming, kind of a winding maze. There are, after all, five floors to discover. On the other hand, those who frequent the area tend to instead lovingly describe it as ‘diverse’. The truth lies somewhere in the middle. The the shopping centre is positioned on different levels, so you can skip two floors by either walking around the outside or taking the stairs from inside. When in doubt, follow the corridors on a slanting axis to find your way outside again. The shopping centre is usually well populated, so worst case scenario there’s always someone around to ask for directions. Here a view at it from the top. 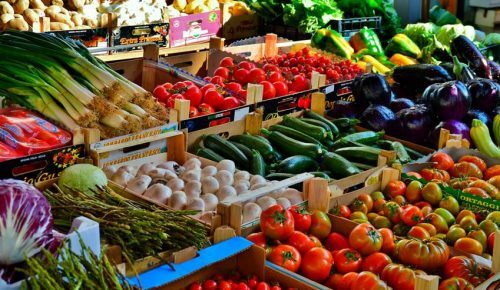 CC San Agustin sees the most visitors from September to April which is why the farmer market is only on during these months. Many of these visitors are long-term vacationers as well senior citizens/pensioners coming from all over europe, especially Sweden. You can read more about the San Agustin town here. As mentioned, pensioners like to spend their time here too. Several restaurants have figured out to offer special low-cost menus precisely for this reason. 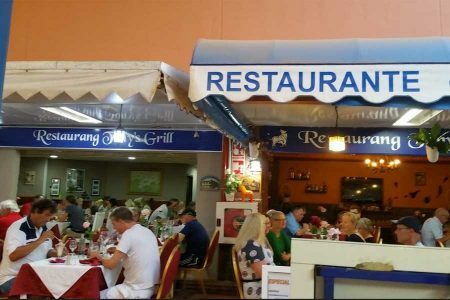 You will find offers of a three course meal including two Schnapps for 8 € up. 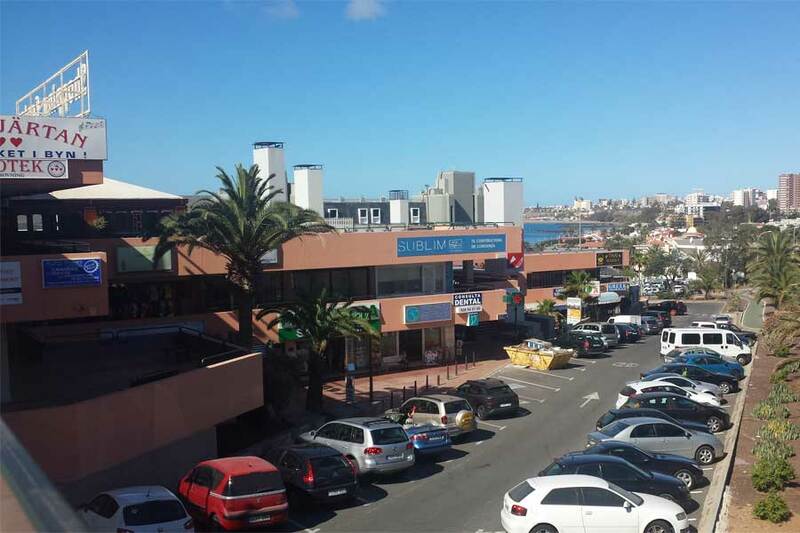 San Agustin’s shopping centre is located in the middle of town between the main road GC 500, and the Hotel Don Gregory, and only about 2 min from the beautiful Las Burras beach, you cannot miss it. If you come by car, the first hour of parking is free – perfect for those looking to buy just a few things and leave. 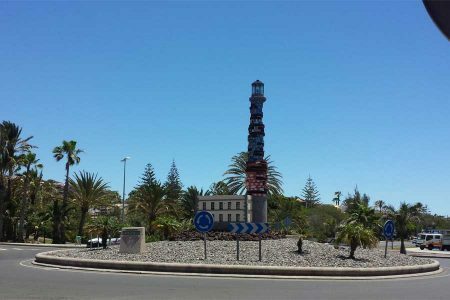 You’ll recognize the shopping center from afar by either its signpost or by the fact that it’s located at the roundabout with a replica of the Maspalomas lighthouse. If you expect to find a modern shopping center with all those well-known brand names as in your country, you definitely came to a wrong place. This shopping center is quite unique if to put it short. Lots of different unique local restaurants, cafes, bars; Chinese and various shops, different services establishments and other. You name it, you’ll find it. Well, speaking of “finding it” might be not that easy as the plan of the building might be a bit confusing, for example, 1st floor from the road’s side is also the 3rd floor from the ocean’s side! As funny as it might sound, but this also contributes to the unique experience this “oldie but goodie” center has to offer. Yes you are right, the shopping centre has no well-known brand shops. But loads of quite good restaurants. One has to give it a bit of time and stroll through, and try this and that. A good indicator is always the bars and restaurants which are jam packed.